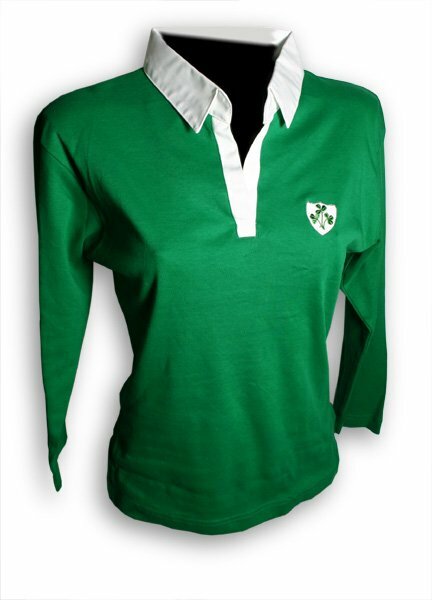 Ladies Ireland Rugby Shirt. Kelly Green with White collar. 100% Cotton. Made in Ireland.